A tried and true method, you can’t go wrong with potted Pansies and Alyssum. 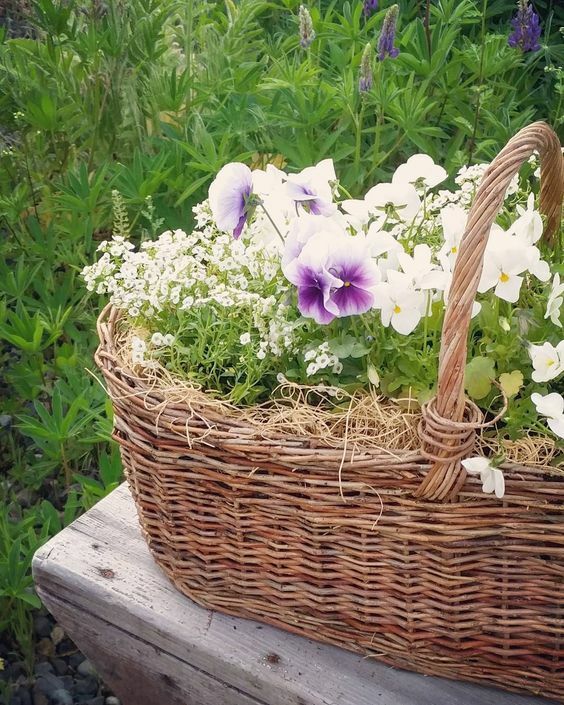 Try this fun French Country style basket. Or add interest with a classic glazed outdoor planter using a Spike to add height and flowing Pansies and Alyssum for movement. Sometimes less is more. 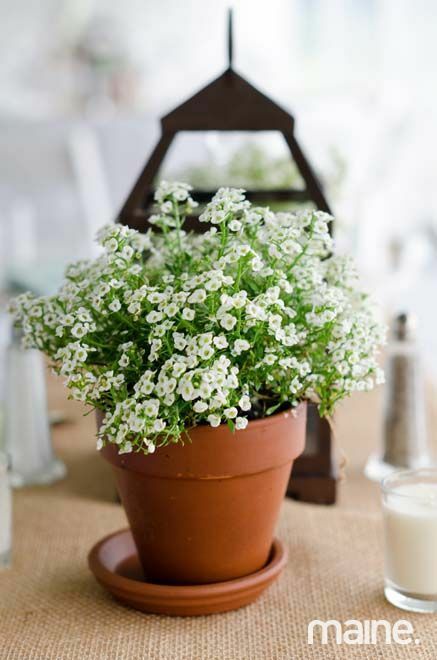 Keep things simple and fresh with a warm clay pot and small bunch of Alyssum. If you love thrift store shopping, you’ll love this. 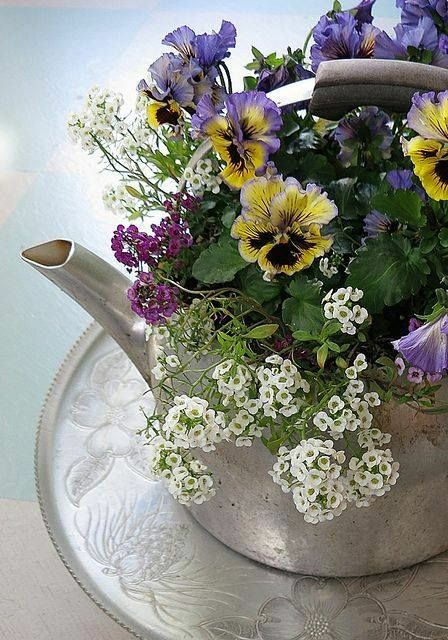 Use an old steel or copper tea pot, gravy dish, or flowering can for a pot. This technique adds a lot of character for a fun Shabby Chic look. 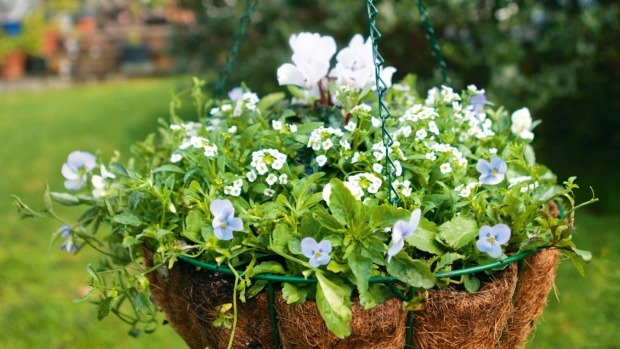 Pansies and Alyssum add a special flow to any hanging basket. Hang them anywhere, including right on your front porch. You’ll delight your guests and family by creating a clean, warm space from the time they enter the door. What are your favorite ways to arrange these beautiful Spring flowers? ← ﻿Spring Frost & Freeze Warning!